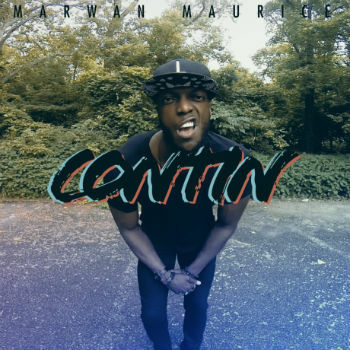 Singer-songwriter Marwan Maurice has a new single and video out for his song, “Contin.” You might get the impression from his album art aesthetic and clothing style that Maurice is a hip hop artist. In fact, his music is more of an energetic, alternative pop-rock. Marwan’s vocals a kind of upbeat rock n’roll sound, reminiscent of a lot of 90′s rock, but without any of the depressed or misanthropic vibes. The pacing of the song is just right, and there is an interesting and strategically placed football interlude about halfway through the song which gives the jam a bit of character and shows off Marwan’s imaginative spirit. The video production keeps the viewer interested and makes good use of color to convey the mood and atmosphere.